At Jacksonville Complete Dentistry, our goal for your first appointment with us is simple – we want to leave you feeling comfortable, well cared for, and confident about the future of your smile! Our team members will start by warmly greeting you at the door and showing you around our office. Once you’re escorted back to the treatment room, you’ll get a great sense of our “complete dentistry” approach as our doctors take over. Dr. Johnson or Dr. Barker will sit down with you and ask about your health history and your individual needs before performing a truly comprehensive exam of your overall oral health, your head, and your neck. After all, you’re entrusting your wellbeing in our hands – we take that seriously. If our findings show that further treatment as needed, we’ll sit down with you again after the exam to discuss our recommendations and any other concerns you may have. We want you to know everything you need to know about scheduling, finances, and more before you commit to future procedures. After we’ve gotten your next appointment booked and wrapped up any remaining payment concerns, you’ll be on your way again. That’s all there is to it! When you get to the dentist’s office, you’re most likely anxious to get your visit started as soon as possible. As a result, having to sit down and complete lots of paperwork in the waiting room first can be pretty frustrating. So why not get that step done early? With our online patient forms, patients can print out everything they’ll need in the comfort of their own home. Just fill in your information and turn in the completed forms to our front desk team when you arrive for your visit. 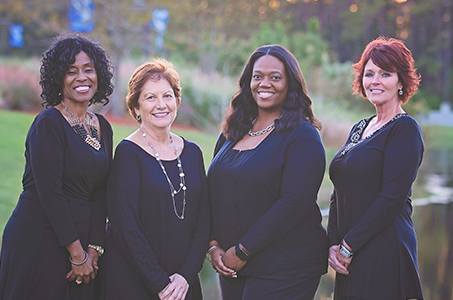 We’re proud to be an insurance-friendly practice here in Jacksonville Complete Dentistry. As a courtesy to our patients, we file claims for PPO plans on your behalf so that the reimbursement process is smooth and stress-free. Better yet, our team members are pros at this sort of thing and they’ll do their best to maximize your reimbursement. To learn more about our insurance policies or to get a potential estimate of how much certain treatments would cost you with your current coverage, please feel free to contact us directly.